This is an enjoyable Cabernet from one of California’s most dependable labels. 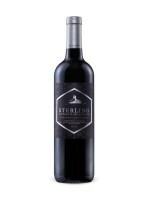 It offers a mix of ripe fruit and vanilla aromas and flavours with smooth texture from start to finish. In B.C. look for the equally enjoyable Vintners Collection Merlot ($14.49, 643882).